Known for its ski hills, Mont Tremblant in Quebec, Canada is a winter wonderland for families. What you may not know is that there are plenty of great activities for kids in Mont Tremblant in Summer and Fall. I’m a sucker for a good Fairmont (like the Fairmont Copley Plaza) and the Fairmont Tremblant is one of the best I have experienced. 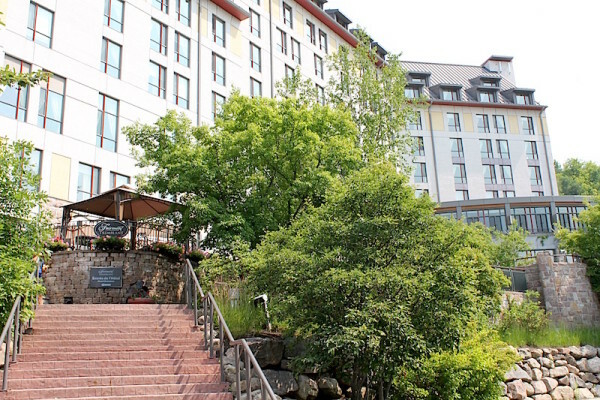 The hotel is located at the base of the mountain at the highest point in the Village that makes up the Mont Tremblant Resort. It is steps from most of the kids’ activities that we loved. We checked in and were welcomed with not only open arms by the staff but an excited tail wag from the hotel’s resident dog Umi. The dog mostly hangs out in the lobby welcoming people and is always ready for a cuddle or photo. We headed up to our room on the fifth floor which was clean, quiet and pretty. We had a great view of the mountain and loved watching the groundhogs play amongst the flowers from our window. The piece de resistance at the Fairmont Tremblant is the pool deck. 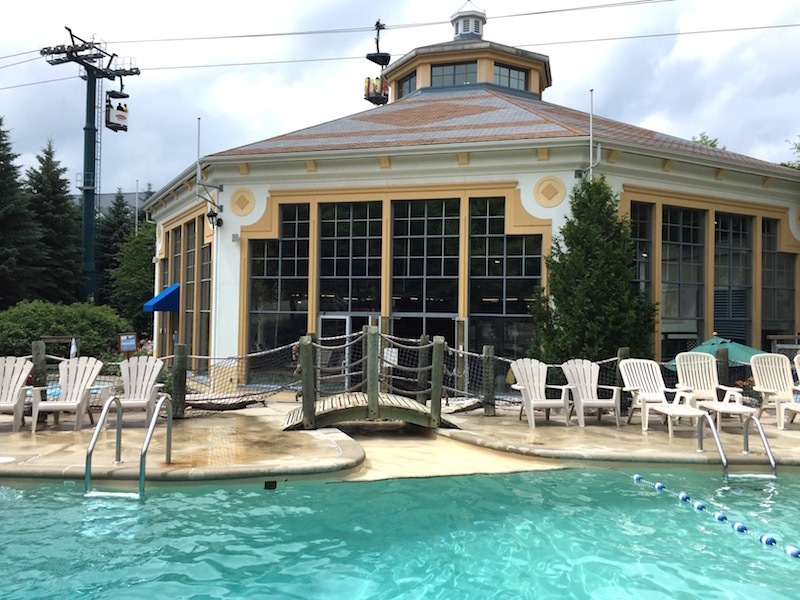 There is an indoor pool as well as an outdoor pool which has a full-time lifeguard. There are three different temperature hot tubs including one that is restricted to adults over 18 (thank you Fairmont). During the day, there is a chef by a large BBQ cooking up delicious lunch offerings. At night, the lifeguards light a gorgeous fire pit where families gather to chat. 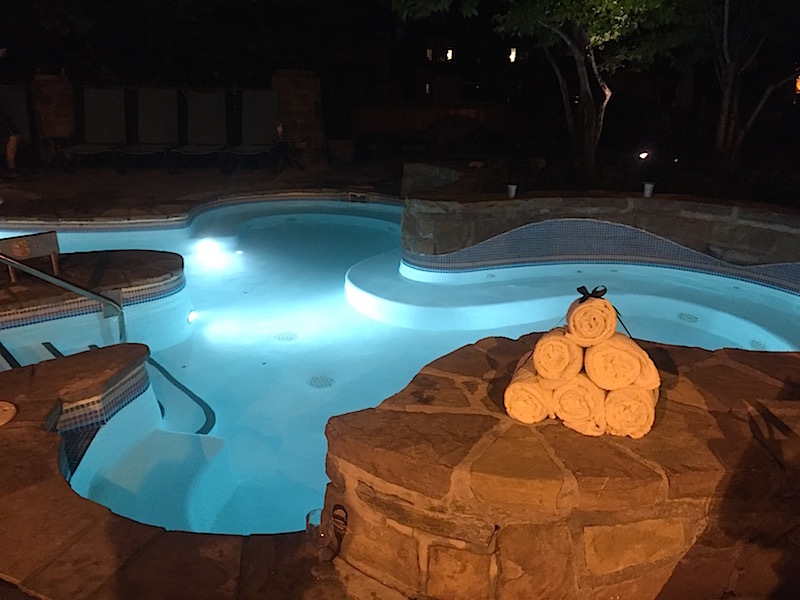 We stayed during the annual Tremblant Blues Fest this year and I loved that I could sit by the pool at night and listen to the band at the main stage while the kids played in the pool. 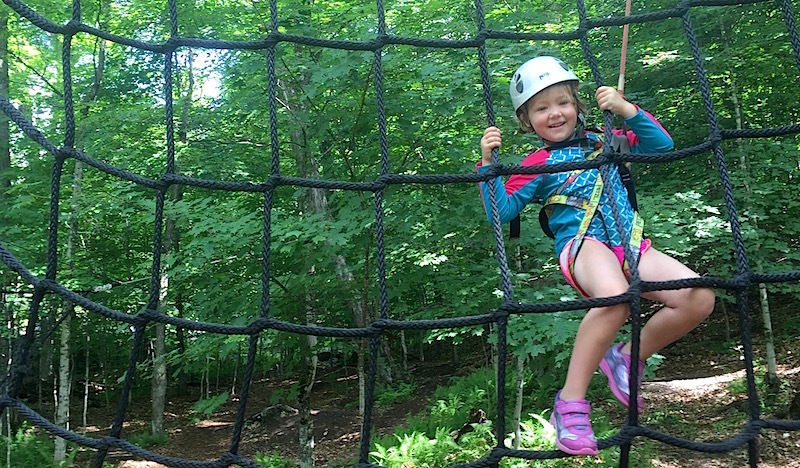 For families, I found the food at the Fairmont to be the best of what we tried at Tremblant. At night, we loved heading to the Windigo restaurant to wind down and spend some time together. Most nights we played board games before digging into the delicious offerings. The kids’ menu had a great variety of healthy offerings and the French Onion soup was a hit. Like many Fairmont restaurants, kids aged 5 and under eat free from the children’s menu while kids 6 to 11 eat for half price from the regular menu. I have no hesitation in saying that the Fairmont Tremblant made our vacation to Tremblant ever more enjoyable than expected. 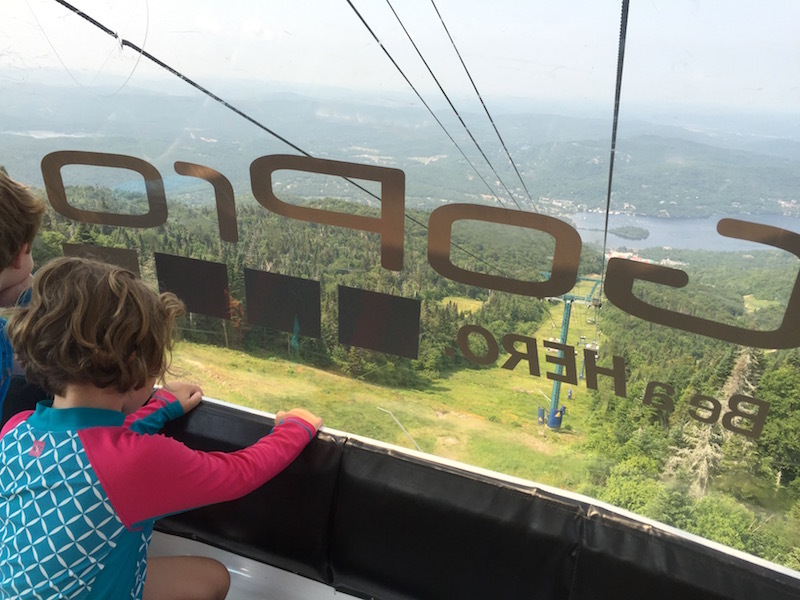 You know that families ski at Tremblant but you may be wondering what there is for kids to do in the Summer or Fall. The answer is a heck of a lot of really fun things. I found the best way to experience the activities was to buy an activity card at the base of the hill. The cards vary in price depending on how many activities you want to try. During our stay, we used the card daily and were able to try almost all of the 14 activities available. 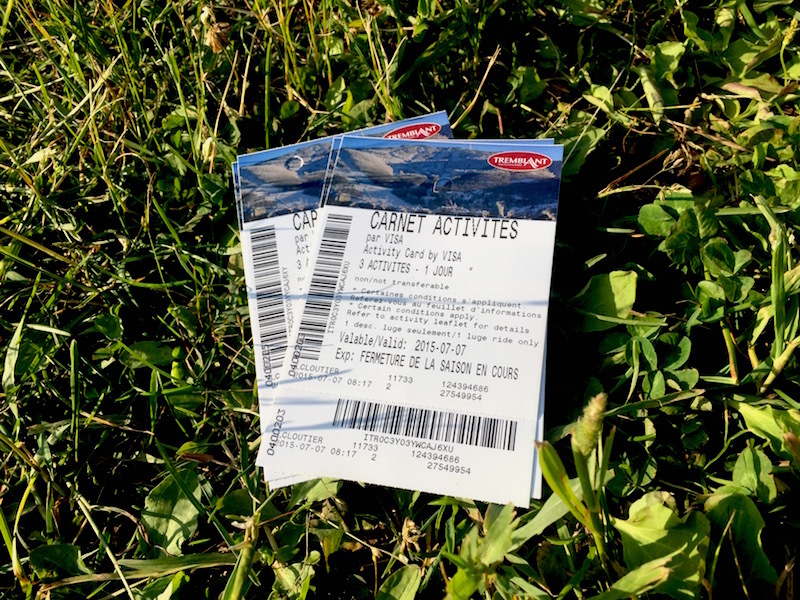 The activity cards are valid until mid-October and are 10% off when purchased 48 hours in advance. 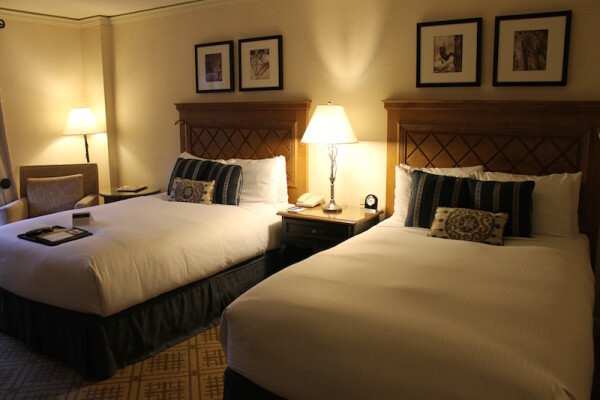 If you are staying at a hotel onsite, the cards will be delivered to you upon your arrival. Otherwise, you can easily pick them up at the ticket window near the kids’ activities. The kids and I went luging every day. Because Will was over 6 and taller than 3 feet 7 inches, he was able to drive his own luge which meant that the three of us could tackle the course with Charlie and I riding together. The fun starts as you get on the chairlift and continues until you return to the bottom. You are given proper instruction on driving the luge and then let loose on the track. It took us a few rides to build up speed and after that, we kept getting better and better. Will particularly loved the luge and Charlie is begging to go back when she turns 6 to have a go at the course on her own. Plan on going more than once. Although the pool at the Fairmont was great, we also loved hanging out at the AquaClub La Source located in the village. The AquaClub is an indoor/outdoor aquatic center with something for everyone. I loved that they had change rooms designed for families with separate changing stations inside so Will did not have to go off on his own, a common problem for a traveling family of 3. Once inside the AquaClub, we instantly loved it. The kids couldn’t decide where to look first and soon were begging to try everything. There is a cute small pool for babies will a slide and sprinklers. There is also a large family sized pool with rocks to jump off of and a really fun rope swing. Add that together with a huge outdoor pool, attentive lifeguards, and hot tubs to make the perfect afternoon at Tremblant. All located within steps of each other, the EuroBungy, Climbing Tower, Akro Park will get your kids smiling. The EuroBungy is a combo of 4 trampolines teamed with bungee cords. My kids loved getting up in the air and being taught how to do front and back flips. 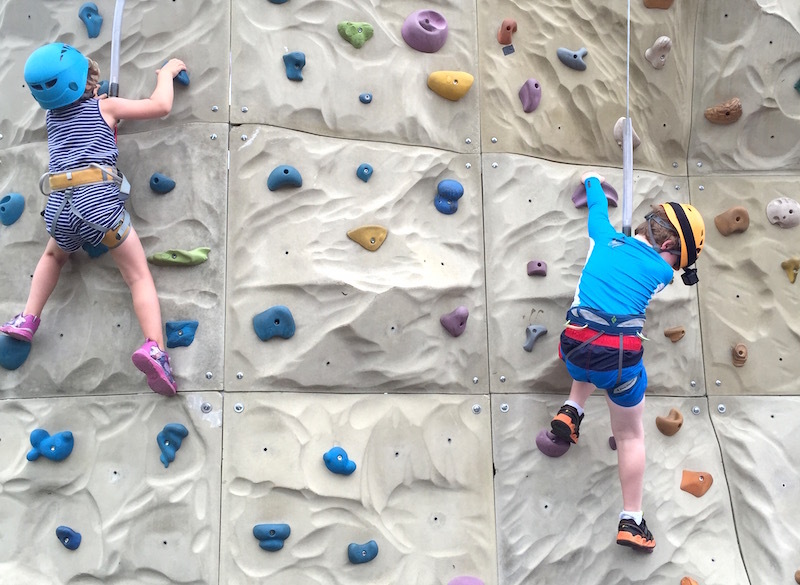 The Climbing Tower is great for kids over 40 pounds and the people working the wall are excellent coaches and route planning assistants. A nice touch is that next to the large wall there is a free smaller one for little kids. The Akro Park is a miniature ropes course that will get your kids excited about trying more. After all the action, cool off in the free splash pad nearby. 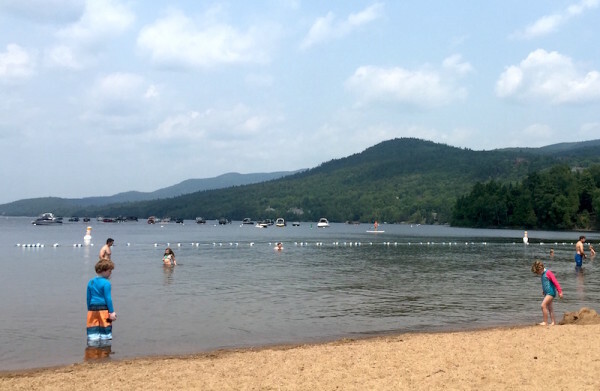 The Beach and Tennis Club located on Lac Tremblant is also really great. The kids loved the shallow warmer water and immediately made friends. They spent almost a whole day building sand castles and throwing frisbees around. Don’t miss out on the option to take a boat out to the climbing icebergs in the water. We loved climbing up then and sliding down. 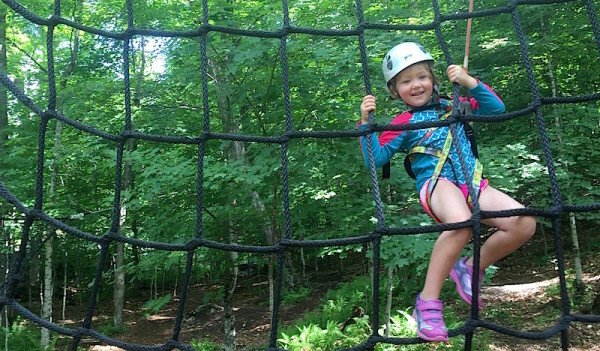 There are so many more fun activities available at Tremblant. We loved taking the Gondola up to the top of the mountain and seeing the deer playing on the hillside. Mini-golf was also a big hit with my kids. 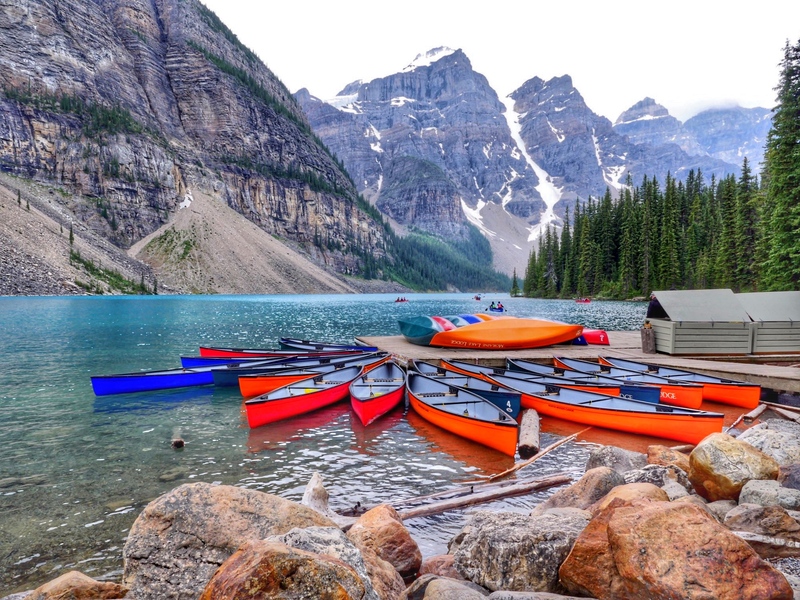 Other activities include checking out the Captain’s Harbour to drive kid-sized motorized boats, renting bikes, attending the Birds of Prey show and renting non-motorized boats. In addition to the activities above which are all accessible with the Activity Card or through individual tickets purchases, there are two activities at Tremblant that really blew me away. We spend a lot of time doing activities like these and its not often that I am stunned by something. 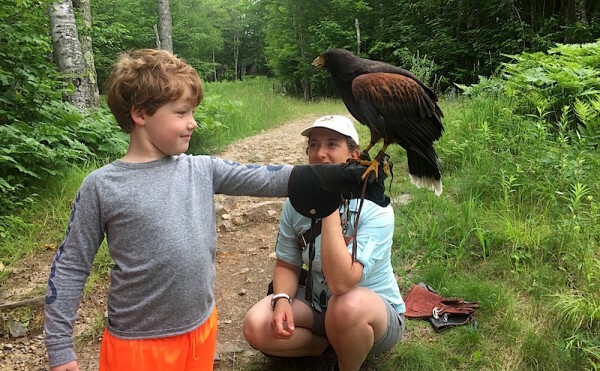 At Tremblant, the activity that most impressed me was the Apprentice Falconer program. I had no idea what to expect but had been told by people we met that we needed to try it before we left Tremblant. On the final morning, I was able to get a booking. The kids and I were met by a woman carrying a large box who took us into the woods. Soon, she opened the box to reveal Onyx, a gorgeous hawk. As he took off ahead of us with his wings skimming our heads, she taught us all about falconeering and how and why they train the birds. Personally, I could have done this all day. It was incredible to learn about the hawk and watch him both come when called and hunt in the wild. Its an experience the kids and I will remember for a very long time and was well worth the cost. 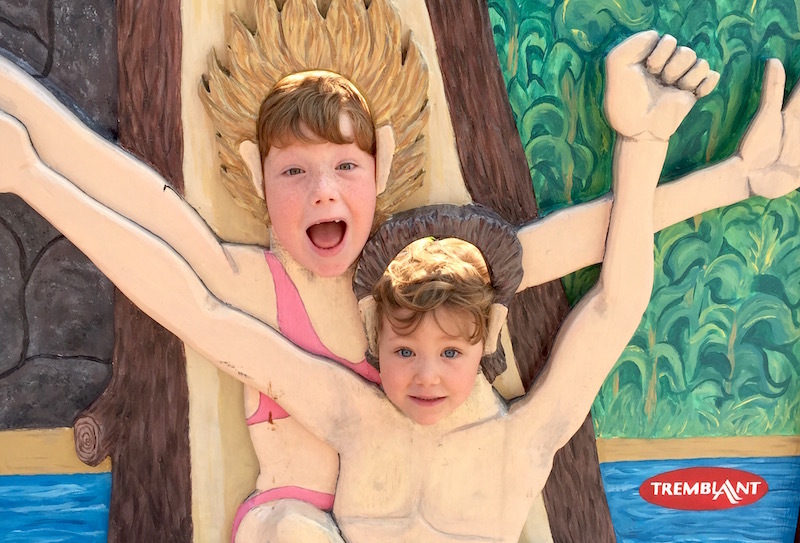 The second do-not-miss activity is the Children’s Course at the Tree to Tree Adventure. We arrived as it was opening and were met by enthusiastic guides. They dressed the kids in equipment and after a brief instruction session the kids set off onto the course. They did not leave the course until 2 hours later when I had to explain to them that it was time to go. The course isn’t very tall but it is one of the more challenging kids’ rope courses that I have seen. It’s also one of the most inventive. My only advice, besides not missing it, is to bring a sufficient amount of bug spray and a Go Pro if you have one. 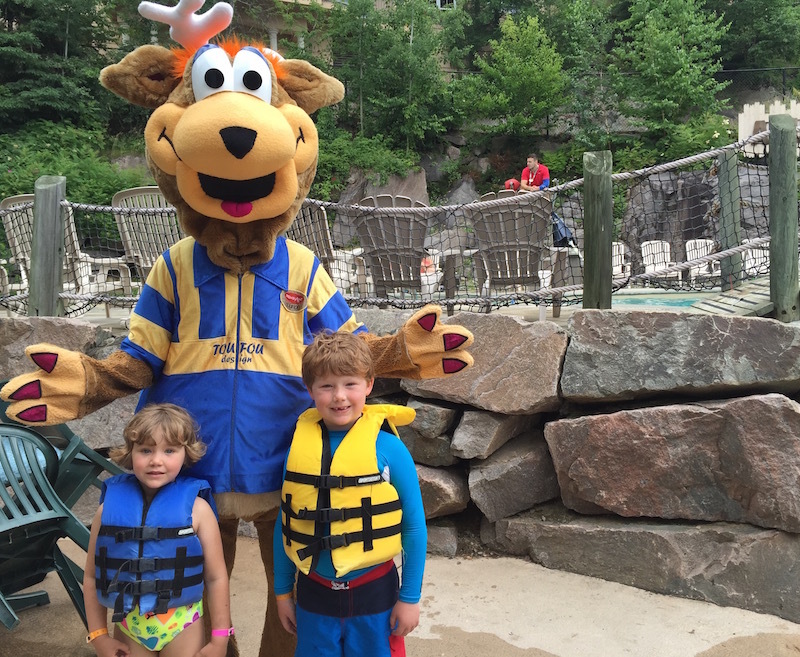 The activities for kids in Tremblant continue daily until September. After Labour Day, you can still play on weekends until Mid-October. I can say without a doubt that this was one of the best vacations we have had due to the enormous range of activities and ease of staying in the Village. The kids are already asking to head back and I can’t say I disagree with them. 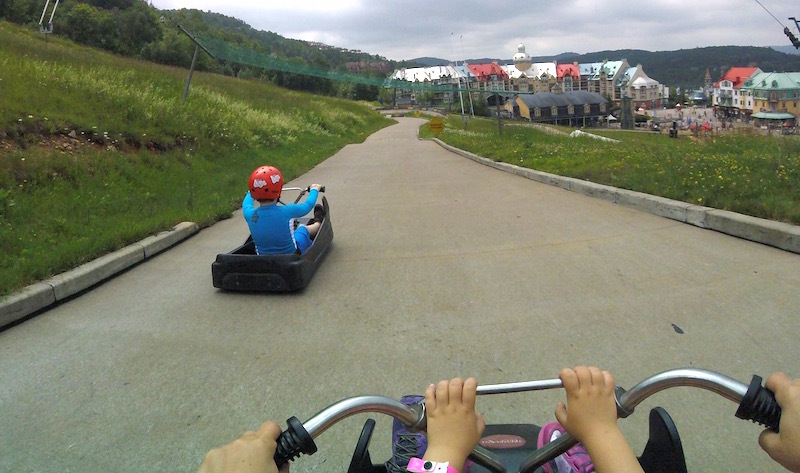 Here’s a video of our time at Tremblant and a look at the kids’ activities shot on our GoPro Hero 4 Session. That pool looks amazing! 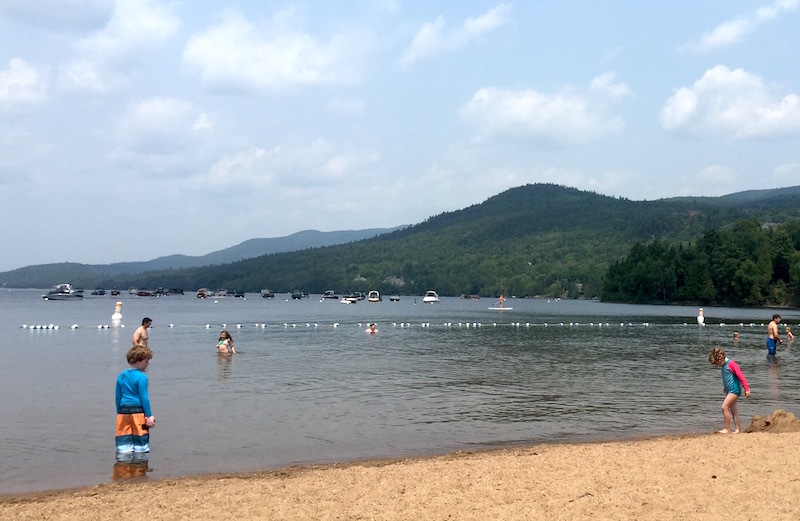 And the beach – I had no idea they had one there. I’d definitely like to go with my kids. Great pictures too! Oh wow, it looks like an amazing place! I would love to take our family. I really like that it’s not all “little kid” stuff, which is one of our problems now that we have teenagers in the house — finding things that everyone can enjoy is a challenge. How are the prices? The nice thing about Tremblant is all the teenager stuff is near the kids stuff too. You could easily do this would any age of child from 3-18 and have a blast. I thought the prices were really fair especially with the Activity Card. Tremblant reminds me A LOT of Whistler, our local ski resort. Would love the chance to check this place out in the future. Looks like there’s a TON to do there! I am planning a trip to Tembrant in Sept, looks like a awesome place. Reading this showed me there is lots do. I was worried kids be bored.Thank you for sharing. Hi Sarah. Thanks for the article about your trip to Tremblant. It has been almost 3 years, but I’m researching options for families with kids when deciding to visit Tremblant. How did you get from where you live to Tremblant? Was it a long flight? Also, once in Tremblant, how did you get from the airport to your hotel? Hi! You traditionally can fly into Montreal. It is about 1.5 hours. You can rent a car or take a variety of shuttles and buses. If you fly through Toronto, Porter Airlines flies direct to Tremblant. Did you go during a weekend? We were thinking of trying a midweek visit to lessen the crowds. We’ve done both and I prefer midweek. Just make sure in Fall that activities will still be open before you book.